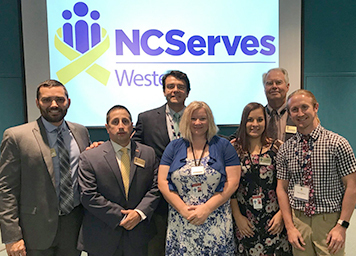 Below are members of the NCServes team who help serve the veterans of the Western North Carolina area. 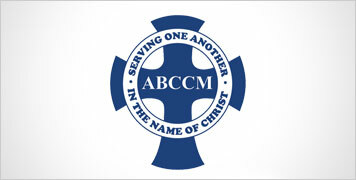 Brandon Wilson is currently serving as an Assistant Director of Service Coordination for the Veterans of the Carolinas with Asheville Buncombe Community Christian Ministry (ABCCM) and is the Network Director for NC Serves Western. Prior to these roles Mr. Wilson worked for Vaya Health where he worked to bring awareness and coordination between the community and the Mental Health fields outside the Veterans Administration to better serve Veterans and their families. Previous to this position, Brandon held many positions with the North Carolina Department of Military and Veterans Affairs to include Regional Veterans Service Officer, State Training Coordinator and Deputy Director of Division of Veterans Affairs. During his time in Raleigh, Brandon served on the NCDVA Senior Leadership Team and was instrumental in the transformation and restructure of agency and creation of new NC cabinet level agency of Military and Veterans Affairs, as well as the NC4Vets Resource Guide. As the State Training Coordinator Mr. Wilson created a new training platform for VSO’s which led to a 42% increase in Fully-Developed Claims leading all organizations at the VARO. He began his career as the Director of Veterans Services with Haywood County in 2009, where he implemented several new programs and non-profits to address veterans and their family members. Brandon is a combat Marine who served in the infantry during Operation Iraqi Freedom. He has served as an advisor to the Haywood County Veterans Council, NC State Veterans Commission, NC Veterans Council and served on many local and National VA committees and sub-committees. He currently serves on the state committee for Veterans with SAMHSA, the state steering committee for NC STRIVE and the Mayors Council for Veterans in Asheville, NC. Brandon is married to his wife Sara and has two daughters Daisy and Anna and resides in Waynesville, NC. Emily Wheeler is currently serving as the Care Coordinator for NCServes Western with Asheville Buncombe Community Christian Ministry (ABCCM). Ms. Wheeler has 12 years of case management experience working both as a Social Worker and Intake Coordinator. Her vast experience ranges from foster care plans and child placement with Henderson County Department for Social Services to supportive services for families with mental health or behavioral issues with Families Together Inc. Ms. Wheeler earned her BA in Education in 1997 from Warren Wilson College. This experience with care coordination in the mental health field as well as completing intake assessments and coordinating services to help people in need will enable this network to grow and enhance service coordination to our Veterans and their families. Emily is married to her husband Joe and has six children and two grandchildren and two dogs and reside in Asheville, NC. Jessica Rice is currently serving as the Intake Specialist for NCServes Western with the Asheville Buncombe Community Christian Ministry (ABCCM). Mrs. Rice has 5 years of prior experience as the liaison for a globally market-leading customer service company. She brings with her skills in a constantly evolving communications market. She has vast training in customer service, is able to identify needs, clarify information, and approach solutions. Her prior experience with solving and managing problems as well as high call volumes will be an asset to this network. When her husband was deployed in 2010, she served as an advisor and mentor to spouses and families of Marines who were currently serving. She has volunteered her time offering assistance transitioning Veterans to local resources. She currently resides in Weaverville, NC with her husband and her young daughter, Olivia.